No, I haven’t fallen off the face of the earth, and no I haven’t NOT been exercising. I’ve been working on other commitment projects and I’m getting behind on everything…. but I’m already digressing. I do not belong to a gym or CrossFit box. I don’t own fancy equipment or home machines. So, how do I plan workouts with the equipment I do own and in the free spaces provided for me? I use resources accessible and available to me. Over the years, I have developed quite a collection of postcards. 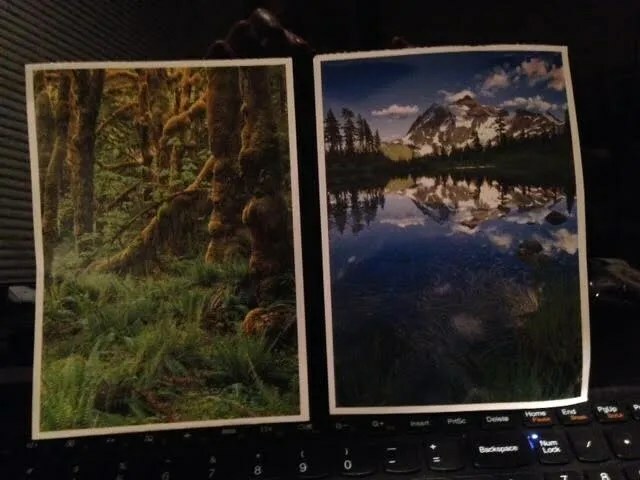 I go somewhere nice with my family, I THINK about sending friends a postcard, so I buy one, and never write it up or mail it. 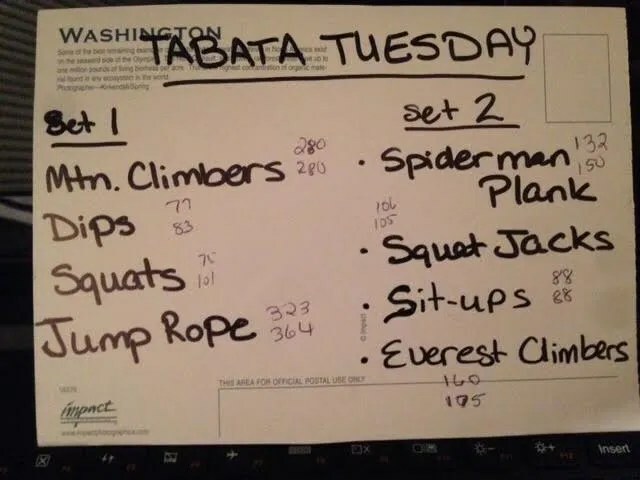 So, instead of wasting them, I started writing out my workouts on them. Yeah, yeah, I could probably download an app for that, but with the music, timer, and tiny screen, it’s easier to have the postcard on hand, and my old fashioned sense simply likes the physical tangible part of creating a workout. This way, we also have a visual concrete record of our workout that gives us motivation to improve. 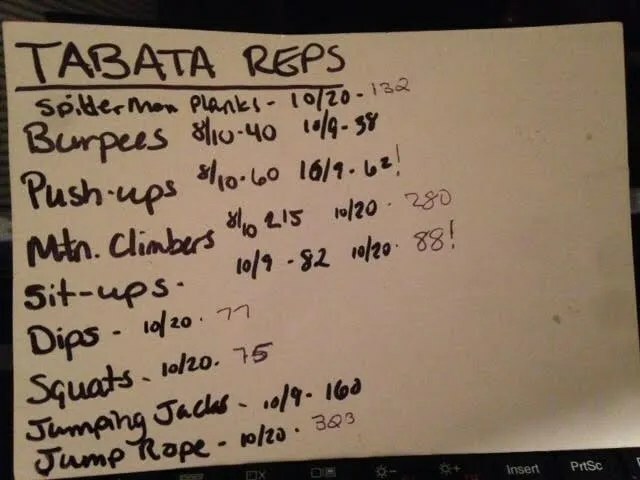 We are approaching our one month anniversary for outdoor bootcamps, and I’m going to go through our cards and repeat several workouts to see how far we have come in a month. The thing about progress is it can be leaps and bounds, or it can be slow and steady. If I see a 2 second improvement on my time, or a one rep increase, then I am making progress, and I am moving forward. That being said, I recognize that I am still learning a great deal about exercise, but I can use this bootcamp time to practice what I am learning and apply it to my own goals. 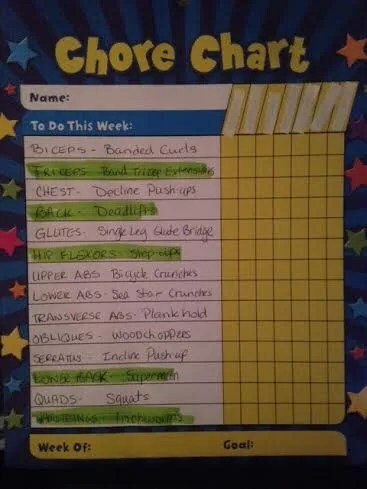 I want to improve on certain exercises, and strengthen certain muscles (my quads and glutes are atrociously weak), so Chris and I were discussing ways we could keep track of our exercises to mark improvements, and I came up with my Chore Chart, which isn’t helping me finish my projects any faster, so I might as well use it to track my workout goals. I did some quick research on agonist and antagonist muscle groups and came up with a full list of exercises to focus on for the next month. My goal is to incorporate a few muscle groups and their antagonist muscle groups a few times each week and create more dynamic workouts that will not just improve my conditioning, but my strength, endurance, and well, KNOWLEDGE of working muscle groups. Besides, I need to know this for my personal training certification. 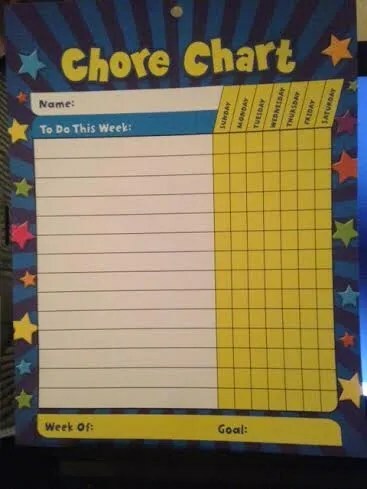 What are some of your favorite workout planning and scheduling tools that you have readily available?